Here at Simply Home Lending, we are often faced with this question from our borrowers: Should I choose a conventional loan or an FHA loan? The focus of this case study will be on one of the main differences between these two types of loans: mortgage insurance. Mortgage insurance (MI) is an insurance policy which compensates the lender for losses due to the default of a mortgage loan. MI is typically paid monthly as part of the borrower’s mortgage payment and can have an upfront premium paid at closing, depending on the loan type. Below are the main differences between conventional and FHA loans in regards to mortgage insurance. When taking the information above into consideration, one might ask: Why should I choose an FHA loan over a conventional loan? There are a few reasons why an FHA loan may be the best option for you. First, the minimum down payment on an FHA loan is 3.5% as opposed to 5% on a conventional loan. Second, interest rates are typically lower on FHA loans than on conventional loans. Third, FHA loans are more lenient towards borrowers with lower credit scores and higher debt to income ratios, i.e., those who may not qualify for a conventional loan. The best way to determine which type of loan best fits your needs is to contact one of Simply Home Lending’s knowledgeable loan officers. They will help guide you through the mortgage process and show you all of the options available for your specific loan needs. Jason Carter is a long time resident of Northwest Arkansas, and he has lived here since attending the University of Arkansas in 1989. He is married to Kate Carter, and they have three children- Liza, McCoy, and Edie Jane. Having been in the lending business for over 10 years, Jason has extensive knowledge of the secondary market for placing your long-term financing. By accumulating all of his experience, he has developed great relationships with investors and other people in this industry. He takes these relationships and produces positive results to pass along to customers of Simply Home Lending. Communication with the parties involved is something that Jason takes very seriously, and he promises to keep everybody informed to make his lending a very smooth process. As a mortgage loan officer with over twenty years of mortgage and banking experience Kelly Tribell has a wealth of knowledge and access to programs and pricing that can benefit you. 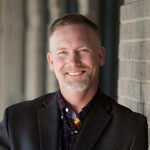 Kelly lives in Fayetteville with his wife and enjoys the outdoors that northwest Arkansas has to offer, travel and spending time with his two children. 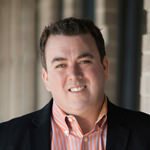 After graduating from the University of Arkansas in 1993 he worked in banking for several years and then found a niche in the residential mortgage industry at first in central Arkansas and then by the late 90's in Fayetteville. Matthew Gunn, a native of Little Rock, has lived in Northwest Arkansas for 15 years. He graduated from the University of Arkansas in 2006. He has worked extensively in the financial industry since 2009. He enjoys golf, kayaking and most of all his 4 legged children, Chance and Abigail. 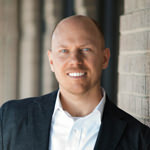 Born and raised in Northwest Arkansas, Tim McClung is a seasoned, 20 year veteran of the banking world. Tim, his wife Becky, and four boys live in Rogers. Tim graduated from the South West Graduate School of Banking at SMU in 2001. He has experience in all facets of banking, from consumer and commercial lending, to operations, and deposits. He has focused on the mortgage business for the past 10 years and has experienced the market at its highest level as well as its lowest. 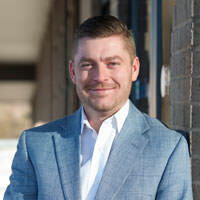 Tim’s vast knowledge and work ethic will provide the best possible experience with any mortgage need.